2012 Royal Enfield Tour of Rann of Kutch (ROK) kickstarts !!! The 3rd edition of its Tour of Rann of Kutch (ROK), an adventurous ride across the geographically unique landscape has been flagged off. This amazing tour ride is organised by Royal Enfield as part of its tradition of promoting leisure and adventure motorcycling culture across the country. 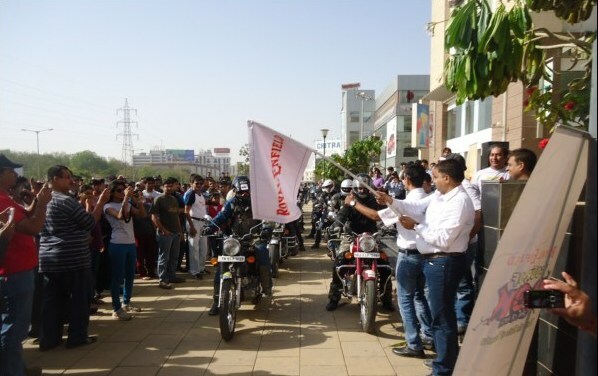 The Royal Enfield Tour of Rann of Kutch was flagged off by the honourable chief guest DCP (Ahmedabad) Dr Mahesh Nayak on the March 11, 2012, at 08:30 AM, from Acropolis Mall, S.G. Highway, Ahmedabad. Dr Nayak flagged off the tour wishing the riders all the best for on their adventurous trip. With the Royal Enfield Tour of ROK, the cultural capital of Gujarat brings forth its adventurous side. A total of 25 riders lined up for the spectacular flag off and were cheered on by hundreds of Royal Enfield riders and enthusiasts from Ahmedabad who had come there to wish them at the start of their trip. “The formidable terrain of Rann of Kutch is quintessentially a gateway to timeless existence. 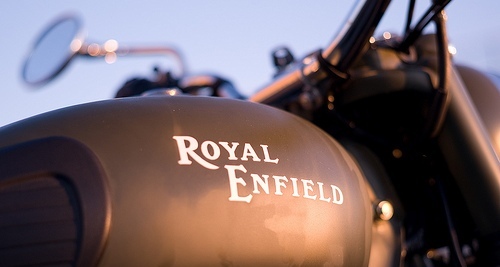 Traversing across the barren landscape on a motorcycle, experiencing the wilderness and golden glow of the Rann and staying at serene countryside resorts; this ride we believe shall definitely be a cherished adventure for its participants.” said Royal Enfield official. Tour of Rann of Kutch this year explores the rugged beauty of the Rann that encompasses beyond the salt flats, deserts and treacherous landscapes. As the riders enjoy the “trip” on their Royal Enfield bikes, without a soul in kilometres, they will experience more than the legendary thump. The slice of adventure will come alive when the riders stop at the Sardar Post in memory of brave soldiers of the Border Security Force who fought valiantly to repel the invaders in the 1965 war. The treasure trove of history in Gujarat will slowly unfurl itself further while the riders marvel at the wonders of the 4000-year-old Harappan civilization site at Dholavira, where archaeologists are peeling back the ravages of time and man, inch by inch.